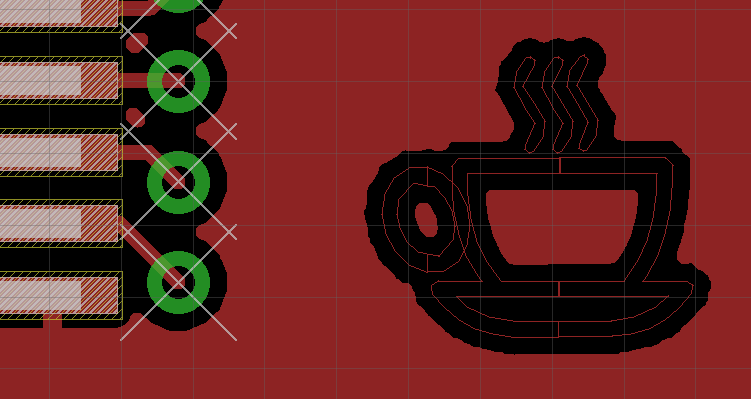 One great way to customize a printed circuit board is to add a cool logo to it. 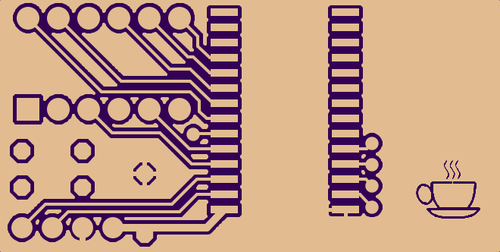 Here are 3 different ways of doing it when using the Eagle PCB design software. Here’s the original image I’ll start with (public domain by the Open Clip Art Library). First you’ll need to import the logo. 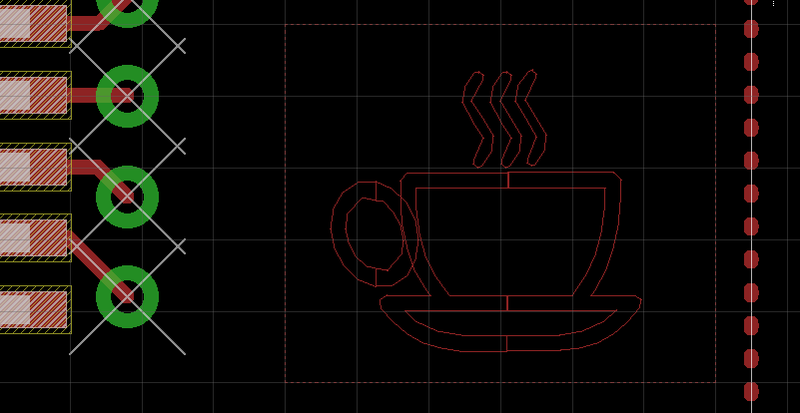 It’s easiest if your logo is a vector graphic in the SVG format since you can download the svg2poly script available on GitHub and just follow the instructions. When importing my image I had to scale it down to make it fit well. Here’s the logo in Eagle. Once you have your logo in Eagle, here’s what you can do with it. The simplest option is to simply print the image with silkscreen. 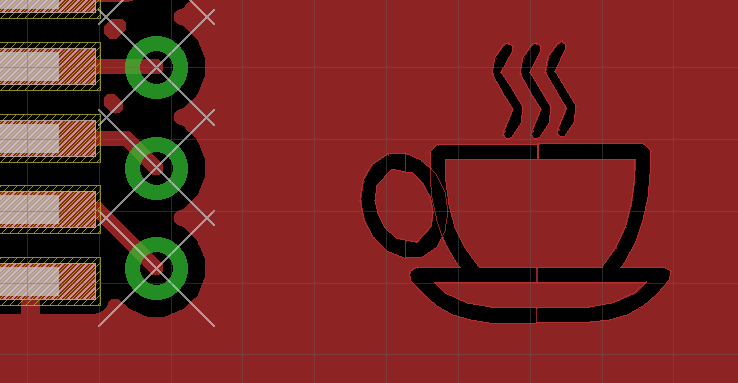 Group the polygons and hit Change -> Layer to move the image to the tPlace or bPlace layer. 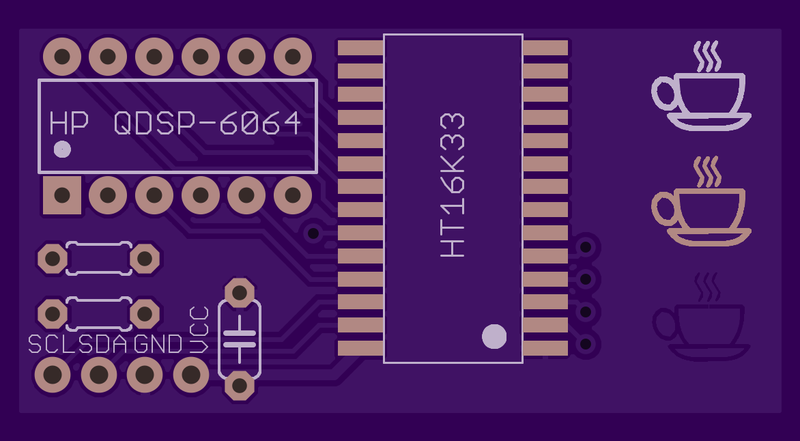 Have a shiny logo by removing the solder stop! Group the polygons and hit Change -> Layer to move the image to the tStop or bStop layer. If you are concerned that a bare copper logo might corrode, this one is for you: etch the copper away from the logo but keep the soldermask on. 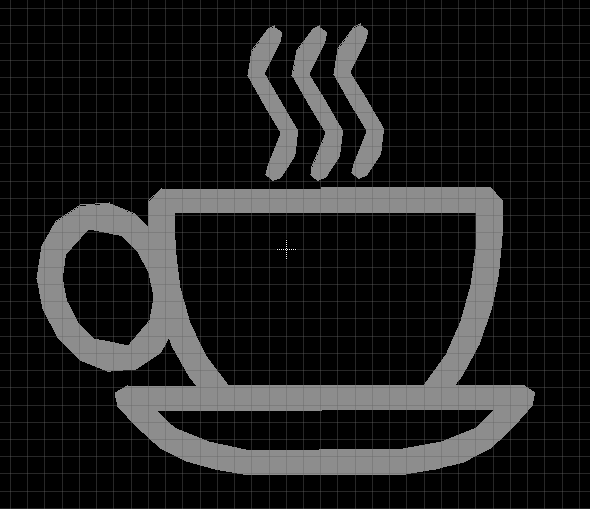 Group the polygons and hit Change -> Layer to move the image to the tRestrict or bRestrict layer. At this point the logo looks inverted. Change the pour style of the polygon to hatch to make it remove copper. 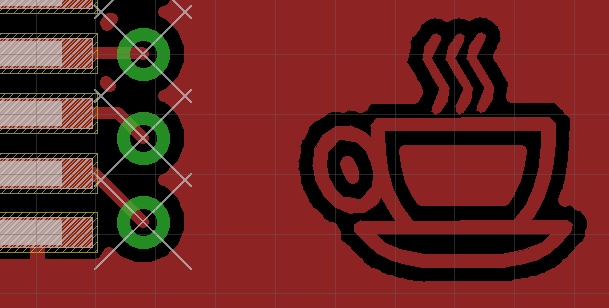 To remove the large borders around the logo, insert another polygon in your signal layer (Top or Bottom) with a width of 0 and an isolate of 0. 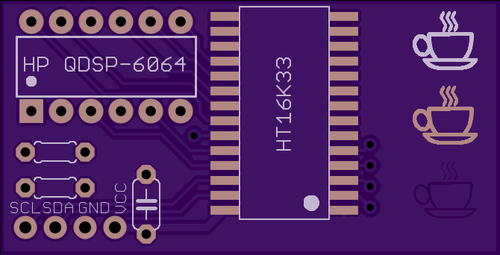 Here’s a preview of the board from the OSHPark PCB printing service. We can see the silkscreen logo at the top, the exposed copper logo in the middle and the etched copper with soldermask at the bottom.